SEO experts are like human thesauruses. They know a thousand different ways a person might search the topics surrounding their company. Can you imagine if SEO experts were like that in everyday situations? 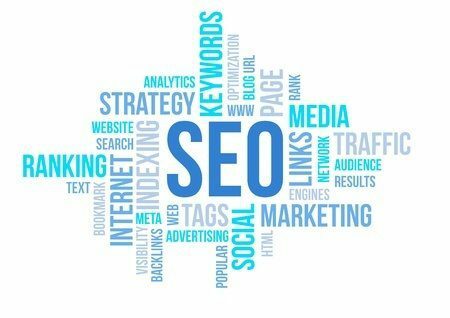 An SEO expert walks into a bar, pub, public house, Irish pub, cantina, speakeasy. Then they walk up to you at the counter, bar top, table, slab. They think of a thousand ways to engage with you in a friendly hello, greetings, hi, howdy, welcome, bonjour, hey, what’s up. They order drinks, beers, sodas, liquor, beverages, alcohol, spirits, thirst quenchers. They then begin a conversation, chat, communication, exchange, powwow about sports, athletics, fun, games, exercise, ball, team. They are then joined by more friends, companions, buddies, colleagues, acquaintances, who talk about their long day at work, job, task, assignment, career, profession. After the night is done the SEO expert takes a taxi, cab, bus, transportation to his house, home, apartment, building, condo, crib. Anyway, you get the point! Life might be hard when you are living with a thousand synonyms in your head. Taking that penchant for wordplay and translating it into search engine optimization can be tricky, but it’s definitely a very valuable skill to have!